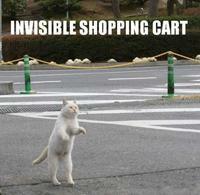 When people think of LOLcats, they probably think of the image memes that grew out of 4chan’s Caturday tradition. 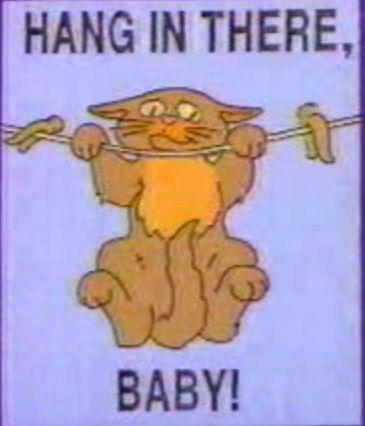 LOLcats are one of the longer-lived internet memes, still going strong over 7 years after the first LOLcats were posted. 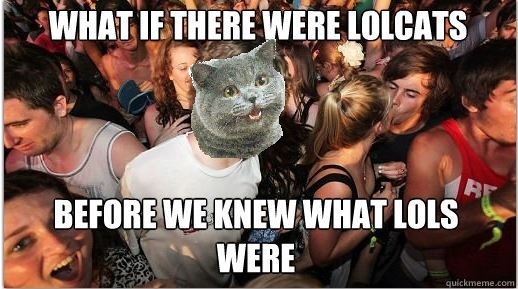 Even though LOLcats peaked in 2009, it’s still widely understood that the internet is made of cats. 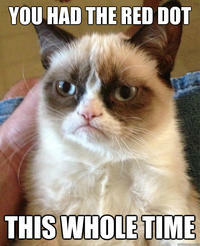 The meme’s longevity may stem from the fact that the tradition of captioned cats is, in fact, older than the internet. Captioned cats existed before the advent of photography, even appearing in medieval manuscripts. Scribes and cats had a close, if contentious, relationship in monasteries. 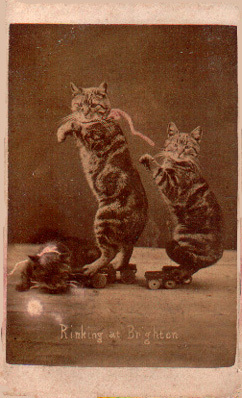 However, Know Your Meme places the “precursors” of LOLcats within animal photography of the early 20th century. The Brighton Cats, photographed by their owner, Harry Pointer, show that the desire to collect pictures of cats doing “human things” is not new to the internet. Anthropomorphic humour may allow people “to essentially laugh at themselves by regarding their own actions from a different perspective” (Miltner) (although “people, it seems, just like looking at the image of animals” (Baker, cited in Miltner)). 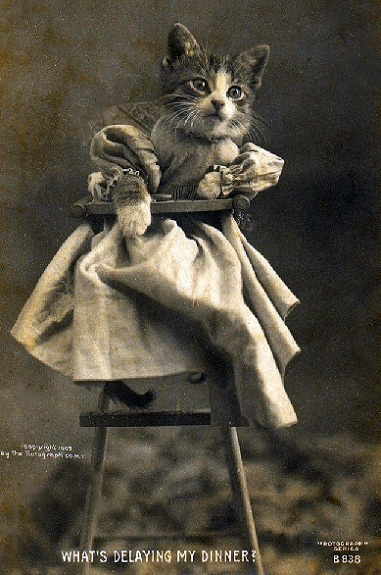 Concurrently, Harry Whittier Frees was creating storybooks and postcards by taking quick snapshots of live animals wearing clothing and posed like humans. Given the popularity of animal pictures and videos throughout the 20th century (posters and home videos galore), it’s no surprise, then, that imageboards and meme-filled forums would participate in this tradition. The fact that the meme has survived so long may also be due to the primary difference between LOLcats and their precursors. Where Frees and Pointer posed their cats, dressing them up and placing them in specific and planned situations, LOLcats are not planned to the same degree: they are remixable, allowing any one LOLcat to become a meme in its own right. 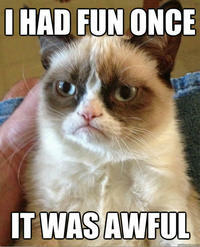 or later iterations of this meme, Lime Cat, and Grumpy Cat. Others take a concept for a caption and apply it to a variety of images, such as the “Invisible X” meme, that pairs the caption with a candid photo of a cat in order to present the cat-like action (jumping, climbing, lying down) as though it were a human action. 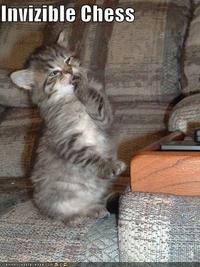 This type of LOLcat calls back to — and turns on its head — the original posed cat pictures. I told someone that we had to research about the history of LOLcats and he said, in an ironic way, that it would have started in Ancient Egypt. 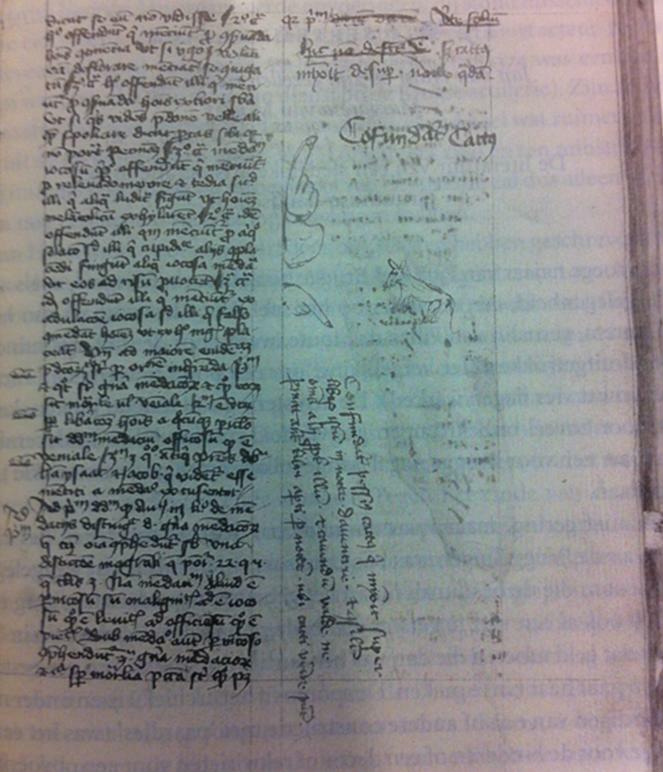 Must tell him that he was wrong, it started in Medieval Manuscripts!